John Carroll Lynch may not be instantly recognizable to most audiences based on his name alone but when they get a look at him, they can immediately place him as one of the most reliable character actors working today. On the big screen, he has worked with such legendary filmmakers as the Coen Brothers (“Fargo”), Albert Brooks (“Looking for Comedy in the Muslim World”), David Fincher (“Zodiac”), Clint Eastwood (“Gran Torino”) and Martin Scorsese (“Shutter Island”) and recently appeared as Lyndon Johnson in “Jackie” and fast-food innovator Mac McDonald in “The Founder.” On television, he co-starred on “The Drew Carey Show” and “Carnivale” and gave Pennywise a run for his money as the malevolent Twisty the Clown on “American Horror Story.” Now Lynch has moved behind the camera to make his directorial debut with the new film “Lucky” and based on the results, he has what it takes as a filmmaker to give up the day job and concentrate solely on directing if he chooses to do so. 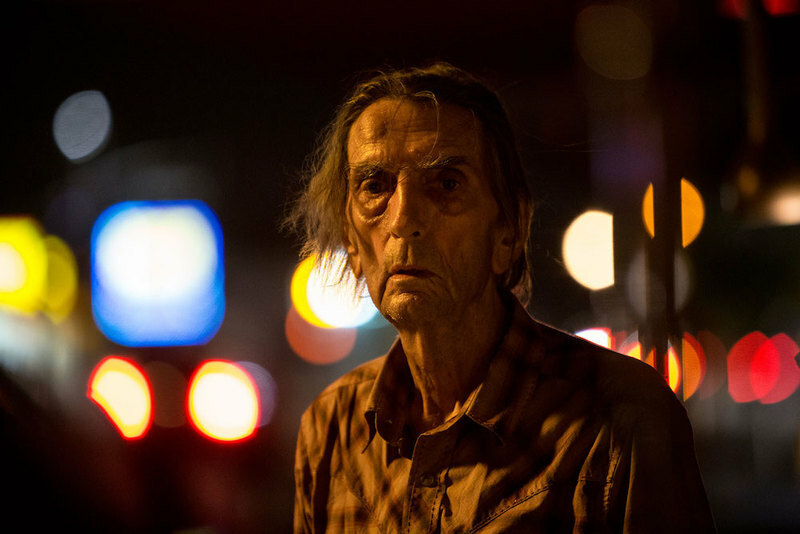 In what would prove to be the culmination of a long and celebrated career, the late and legendary character actor Harry Dean Stanton stars as Lucky, a 90-year-old small-town iconoclast and avowed atheist who, although surprisingly healthy despite his cigarette habit, nevertheless finds himself pondering his own mortality with a certain amount of unease. Stanton, in what was only the second lead role in his entire filmography (the first being "Paris, Texas"), is absolutely magnificent and mesmerizing throughout. It is impossible to even contemplate any other actor even beginning to approximate what he is able to accomplish with just his lived-in presence alone. And yet, while the film is likely to be looked at now primarily as a feature-length tribute to Stanton and his career, his exemplary work is not the only reason for the film’s success. In telling a story reliant more on character and mood than the machinations of plot, Lynch has made a highly assured piece of filmmaking that is deceptively simple yet deeply effective. He gets great performances from both Stanton and an eclectic supporting cast that includes Ed Begley Jr., Tom Skerritt and, best of all, the one and only David Lynch, whose big scene with Stanton is one of those magical moments that deserves to be put in a time capsule. Last May, Lynch came to Chicago to present “Lucky” at the Chicago Critics Film Festival, where it won the Audience Choice award. Before that screening, he and I sat down to discuss the film, the preparations for making his directorial debut and, of course, working with Harry Dean Stanton. Obviously, you are primarily known as an actor. When did acting first become an interest of yours? I first became interested in acting consciously when I was about 14 years old. My brother, who is here tonight, was doing a high school production of “Camelot” playing one of the knights in the beginning—he has a lovely singing voice—and I just simply accepted him as one of the Knights of the Round Table. I was fascinated by that, the idea that you could believe that you are somebody else and so you are. Was directing always part of the plan for you or was this an opportunity that just came out of the blue? I had wanted to direct for a long time. I have been writing and co-writing and I have wanted to direct in different circumstances but when things were supposed to have come together, they just hadn’t. This project came together in a way that was great and it came out of the blue in a way that I didn’t expect, which was through my friend Drago [Sumonja], who is one of the co-writers and who I have known for 15 years since we acted together in a short film. You wouldn’t think that a short film that no one has seen would lead to your first directing job but that is how it worked for me. Drago called me and we met at this coffee shop and he handed me this script and said “We want you to think about playing Joe.” I read it and really liked the script—I was there and I had an hour-and-a-half and I read it. I said "Yeah, it looks like about three days' work. I could do that." To work with Harry Dean? Absolutely, because I had met Harry Dean before through Drago. Then what happened was that they wanted somebody who was a friend of Harry’s to direct but he got too busy. Drago knew that I wanted to direct because I had talked to him about it before. A couple of months later, he said that they were having trouble getting this other person on the phone and would I think about doing it. I said that they should first ask the question about whether the other guy was going to do it or not and when they did, they should call me back. They called me back and said that he really just didn’t have the time to focus on the directing that he would have liked. I told them what I thought the story of the movie was and we started working on the script. I was asking questions about how each individual scene and each individual line tied together to the main story of this person, Lucky, coming to the place that he does at the end of the movie. We rearranged some things and wrote some new things in order to strengthen the screenplay. We sent it out with a new budget and with Harry Dean attached to it through Logan [Sparks], who was one of the writers. It was great to go to producers and say “Our lead is 89 years old—we need a quick yes or no.” People did not say no. They said yes and we finally got the right budget and the right mix. We pushed the process along in a way that was important because of where Harry is in his life and we got it put together in pretty short order. So Harry Dean was a part of the project from before you came on? 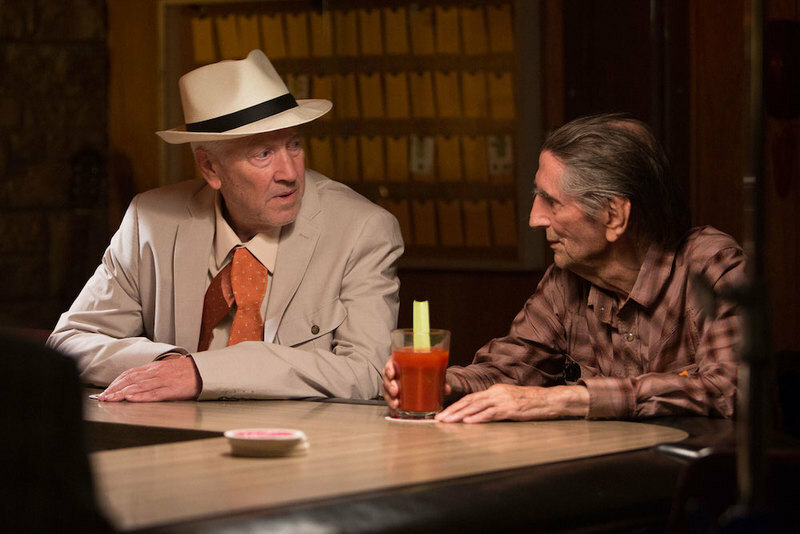 The movie is written for and in every way inspired by Harry Dean Stanton. The stories in the film are stories from his life and it is definitely an “inspired by” movie. The story of Lucky is not the story of Harry Dean Stanton but Lucky’s stories are Harry Dean Stanton’s stories. That is how the material was built and when we started to put it together, that is where my focus was—to make sure that the story of Lucky was clear and focused through the material. Harry Dean Stanton is one of our great actors and it is odd to look back over his career and realize that, with the exception of “Paris, Texas,” “Lucky” is pretty much the only time that he has ever had the lead role in a film. As an actor, I had just done an 18-day shoot before we started doing pre-production on this movie. I had done a part where I was in almost every scene of the movie and I was exhausted and I was only 53. Harry was 89 when we did this movie and he, more than anybody, became aware of how daunting a task doing the movie was. To show up the way he did and to do the work he does at the quality that he does it in a lead role was impressive, both in terms of stamina and quality. 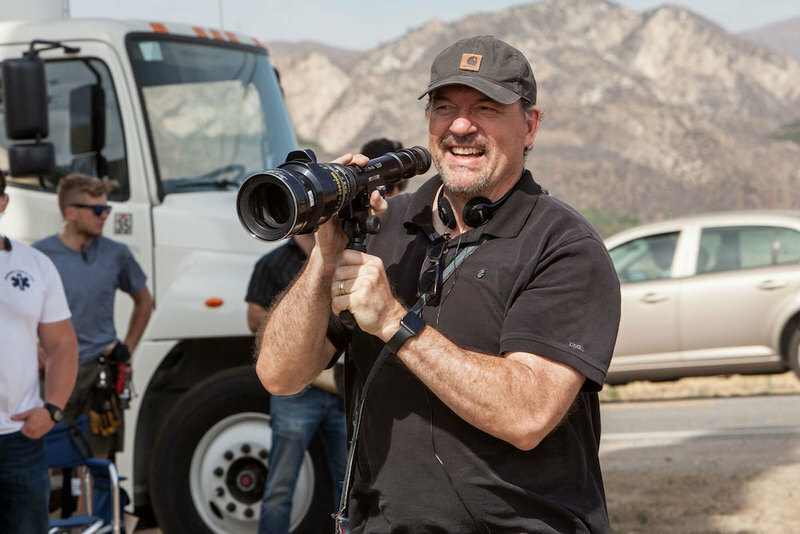 As an actor, you have worked with many of today’s top directors, including Martin Scorsese, David Fincher and the Coen brothers. Did any of those actor-director relationships prove to be especially influential to you as you made the shift over to directing yourself? One of the things that I appreciate about all the master directors that I have had the opportunity to work with is that they are chasing the story that they want to tell and the way that they want to tell it. They are aware that there are all kinds of elements that can be used to tell the story and if they are not interested in those elements, they do not use them. They use the things they need to use to tell the stories that they are interested in. I will give you an example with music: B.B. King and Eric Clapton and Carlos Santana all play the guitar but they do not play it the same. That is the primary takeaway that I knew was true from all those directors—they are going to follow what they are interested in and what they are passionate about. That is what I was conscious of knowing at the time. In the process of doing the actual directing, there were all kinds of things that I was aware of cursorily—the learning curve was Himalayan—but I was happy with knowing that there was a thing that I wanted to chase with this movie. Oddly enough, “Lucky” also finds you in the singular position of being an actor-turned-director working with a director-turned-actor in one of the key supporting roles. Not just any ordinary director either but the one and only David Lynch, who is one of the world’s great filmmakers and who himself has worked with Stanton a number of times in the past. How did he become part of the project and what was it like to direct him? We had talked about who would play Howard and we had a bunch of ideas with David always in that mix. We contacted him and asked if he might be interested in doing it. He was in the middle of post-production for 18 hours of “Twin Peaks” and so that was a big ask but his assistant and Logan [Sparks] had known each other for a long time. He loved the script and he knew we were asking because not just Harry Dean would love to work with him but because it was a great part that he would be perfect for. He is great in it and a bit surprising as well. When you hear that David Lynch is going to act in a movie, you just naturally assume he is going to play a role that plays off the reputation for being an oddball that has developed as the result of his films. Instead, he plays a reasonably normal person and does it in a completely straight and sincere manner. Part of what David brought was the earnest innocence that he played so beautifully in the movie. He is really disarming and that is exactly what we needed for the character of Howard. I think he came exactly as prepared as he would want any actor working for him to be. He knew how he wanted to approach the character and what he wanted to do. He was available to be directed, he took notes and was solid on every single choice that he made. He was patient and available throughout his entire time on the movie. The performance in the movie is excellent and I couldn’t have asked for a better actor. After wanting to direct for so long, what are your memories of that very first day of shooting “Lucky”? In the simplest terms, I had never said the word “action” before and so I forgot it a lot—I forgot to start the scene and Harry made that pretty clear pretty quick. I would say that I was pretty blessed that my first day had Ed Begley Jr. and Harry Dean together, so I was in really good and seasoned hands with people who were not only great actors but who knew each other really, really well and knew the material really, really well. I tried to prepare the movie—I did some storyboarding and workshopping of the script and I had talked through the entire movie with Harry Dean beforehand. That is how I approached it but what I did learn the very first day and particularly the second day was when I watched the dailies and gave myself a bunch of notes as a director. They were a bunch of simple things like “When your script supervisor says that you need another—you need another” or “Trust that your DP has the exact same vision for the film that you do.” You have to understand that you are relying on the qualities and experience of other people who have qualities of experience in crafts that you do not know and that you are trying to inspire them. I began to realize that my relationship with the material and my relationship with the other artists was exactly the same kind of relationship that I would have with another actor when directing them. I would observe how they were doing what they were doing and ask if what they were doing fit in the movie that I wanted to make. That is how you do it and that is what I began to learn while doing the movie. How closely does “Lucky” compare to how you envisioned it in your mind as you started out on it? There is no way for me to assess that. I see all of the suture marks and all of the bruises and all of the things that an audience will never ever see and could not possibly see because they do not know the material that we made the movie out of. I can never see this movie the way that an audience can. That being said, I am extraordinarily happy that people seem to be getting to the last moments of this movie in the way that we wanted them to, which is with joy and warmth and clear-eyed truth about mortality in a human way that isn’t scary and that is genuine and true. That is what I wanted. Next Article: When You Wish Upon a Star: Sean Baker on "The Florida Project" Previous Article: A Strong Sense of Duty: Stephen Frears on "Victoria & Abdul"